After such a long hot summer, I am so very excited to see signs of autumn on the horizon. Beautiful ripe pears are just the beginning of our transition into another gorgeous season. Happy pear season to you! Wow those look great! Were looking foward to fall also ! Have a great week! Gorgeous pears...AND photography. Are these your orchards? Mmmm... they already look so lovely. What a beautiful place to work and live! No, we do not have any orchards. We just enjoy visiting them. Beautiful pictures and I love Margaret's dress...so sweet. I noticed Del Monte on the harvest box. Does that company grow organic pears in your area? 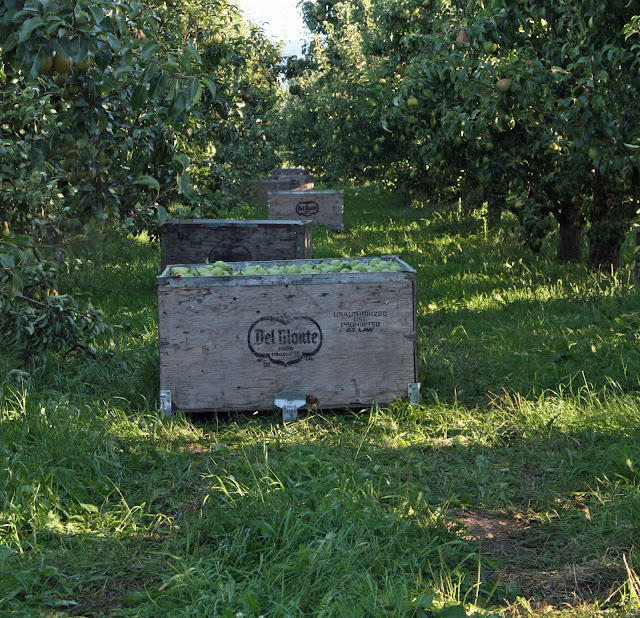 We're in the mountains of western NC and it's hard to find locally grown organic pears here! Yes, there are wonderful organic farms here but this wasn't one of them. I took these on my way into town one morning. We buy/eat only from organic farms. Great photographs of the pear and surrounds. Looks delicious, could almost taste it. Yum!! Qué delicia!!! Yo quiero pera!!!! 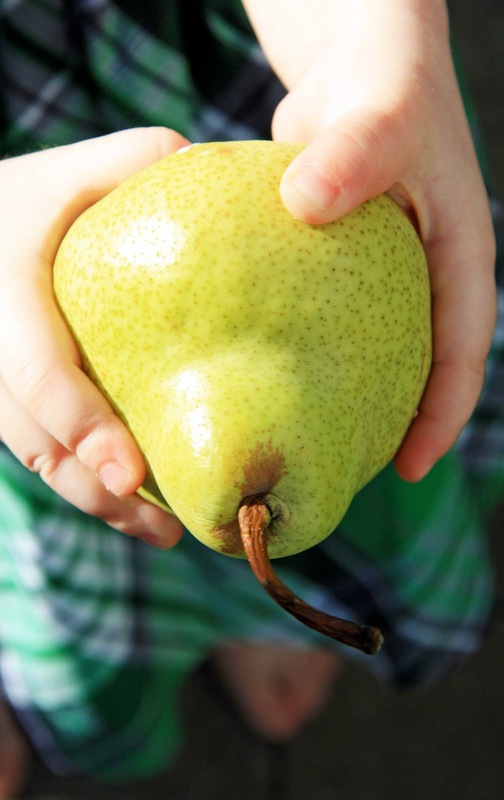 Little hands, the yellow of the pear . . . Fabulous. You always have the best for us to see . . .
Oh these pears look awesome. Gets us in the mood for Fall!! Speaking of organic I am having an all natural organic mineral makeup giveaway and I would love for you to check it out! I love the views you have--those beautiful, frosted with snow mountains in the background are breathtaking! The mountain view Trian is so beautiful. Do you take your coffee out to the porch and just look at it and breathe in? It is truly a blessing. Great pictures!!! My wife and I love a sweet fresh ripe pear also. the property next to ours has 2 pear trees on it. 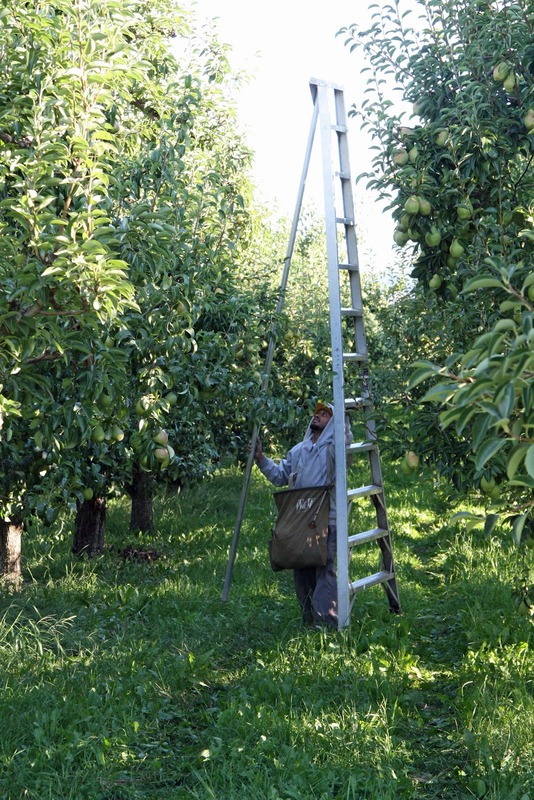 For the last 5 years the property has been vacant, and the owner let us go and harvest the pears!! 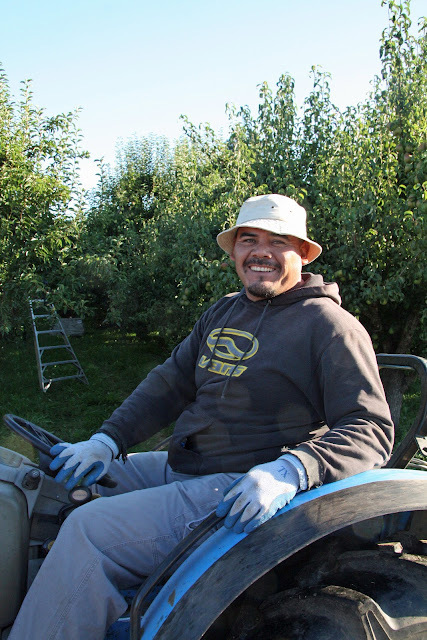 What a blessing, the trees were planted 50years ago and they are the sweetest pears we have ever eaten. This summer the property sold =( , so our pear "harvest" is no more.... I told the new owners that they have the best pears on their property, and unfortunately they told me they are pulling them out because they are too messy.... at least we got to enjoy them for a few years I will now have to plant my own pear trees! Thanks for sharing your home and your life with all of us! Precious little girl holding the pear. Such beautiful images, the orchard is truly spectacular! Ciao for now. Just got first pears from the farmers market here in SoCal yesterday. Your photos are beautiful, and that mountain shot...just WOW! Sooo Delightful! The little one's, the pears, the scenery - Brightened my day - reminds me that we have so much to be thankful for. I think pears are an unappreciated fruit. I absolutely LOVE them! They are in my top 3 favorite fruits and eat myself sick on them this time of year. I've already had 4 this week alone! Yum! Enjoy all the wonderfulness that is pear season! 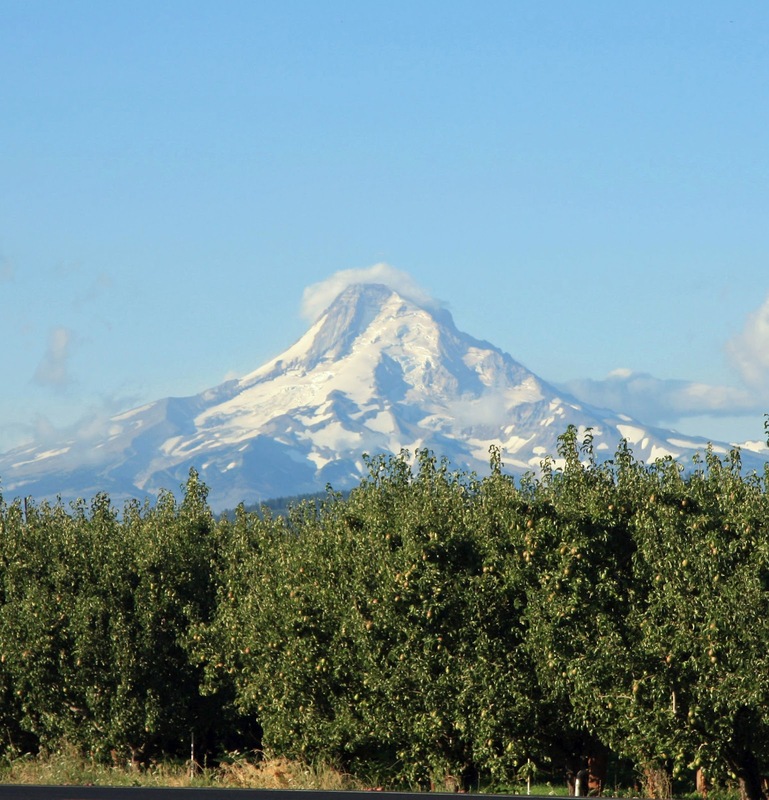 That view from the orchard is breathtaking! I will have to look for some organic pears the next time I'm at the store. Trina, the simplicity and beauty of your photos and styling is extraordinary. You are restraint personified - a lesson for us all. 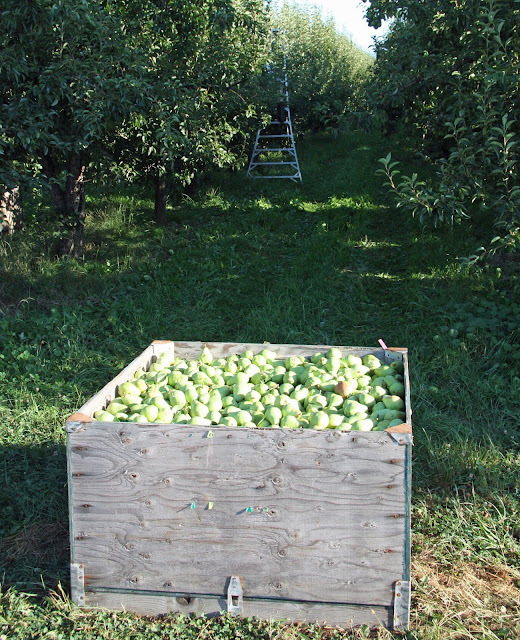 We were just preparing for a wedding in an orchard farm yesterday and picked up a lot of pears as well! These are such great photos :) looks like you guys had a great day! Beautiful! Always so happy to see your posts. Thank you for sharing! The pumpkins seemed to appear overnight! We are enjoying basil, tomatoes and lots of fresh herbs. Carrots are growing well too. OMG!! Great pics! !Great blog and post! Btw, WORLDWIDE GIVEAWAY on my blog! Your blog is so beautiful! Glad I came over. I grew up with one wonderful pear tree in our backyard in Buenos Aires. I haven't been able to find that very unique variety since then. Lovely pictures! Wow! Beautiful orchards and view! Where are you located? Simply wonderful, and Del Monte to boot! Congrats on a great harvest and Happy Autumn!! These orchards are not ours. 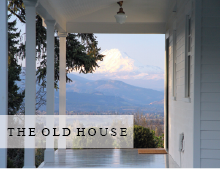 We are located in Oregon, in a little town east of Portland.